Many people undergo cosmetic surgery in order to improve their self-esteem, correct birth defects or simply to make changes for their own personal preference. A cosmetic surgery claim is something many who initially book their cosmetic consultation fear of having as a consequence. Fortunately, there are large compensation claims to be awarded for those who endure cosmetic surgery accidents. These claims can be very difficult and complex and it is important to seek legal advice in order to achieve the best outcome. All doctors and medical practitioners owe their patients a duty of care. Before the surgery, the doctor should explain to you all the risks as well as provide a suitable period of time to thoroughly think about whether you truly want the procedure, despite those risks. It is important to be aware that there is a difference between medical negligence and you simply being unhappy with the outcome of the surgery. You will be expected to have a reasonable expectation and will not be compensated if you expected an outcome which was unattainable. 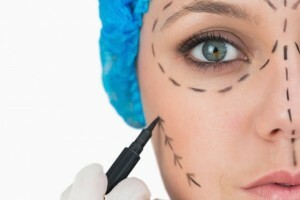 At Bloomsbury Law, we appreciate that your compensation needs to cover not only current and future financial and physical loss, but subsequent treatments which you must have as a result of your cosmetic accident. This may not be an easy time, but we will do our best to make sure you receive the best compensation for your claim as possible. If you are seeking advice on a cosmetic surgery claim, please get in contact with one of our specialists. We will listen to your circumstance, answer any queries you may have and advice you accordingly.